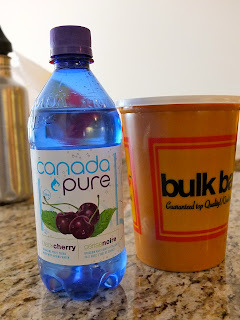 I'm not sure if this company is Canada-specific (but I'm assuming it is because the name of the company is "Canada Pure"), but does anyone remember these drinks?! 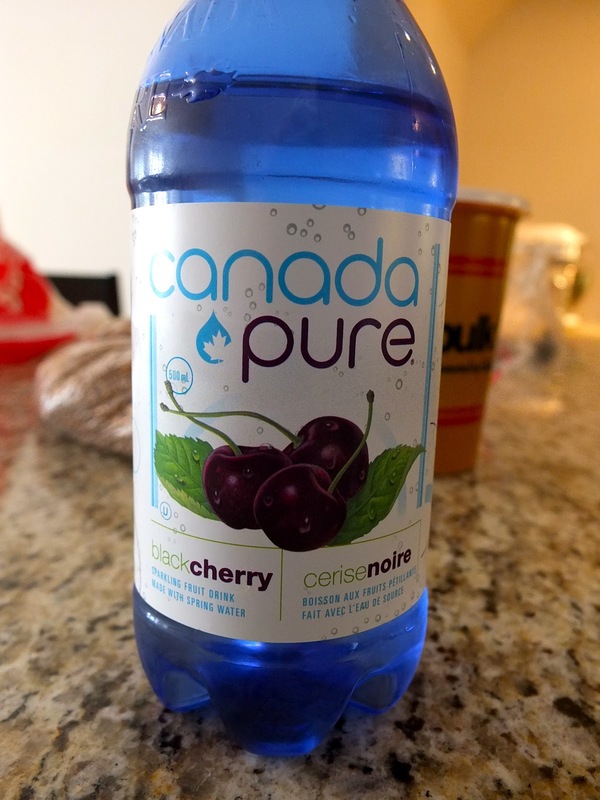 They used to come in glass bottles that were this blue colour, but unfortunately now they come in plastic, and I haven't seen them in ages. I know they're not the best for you, but I couldn't help but grab one! I remembered black cherry being good, and yup, that still stands! Normally when it's 20% off, I jump at the opportunity to buy the biggest container of it, but 50% off grand opening sale totally dominates. Almonds! Kidding...they weren't that small that they didn't have room for almonds before! 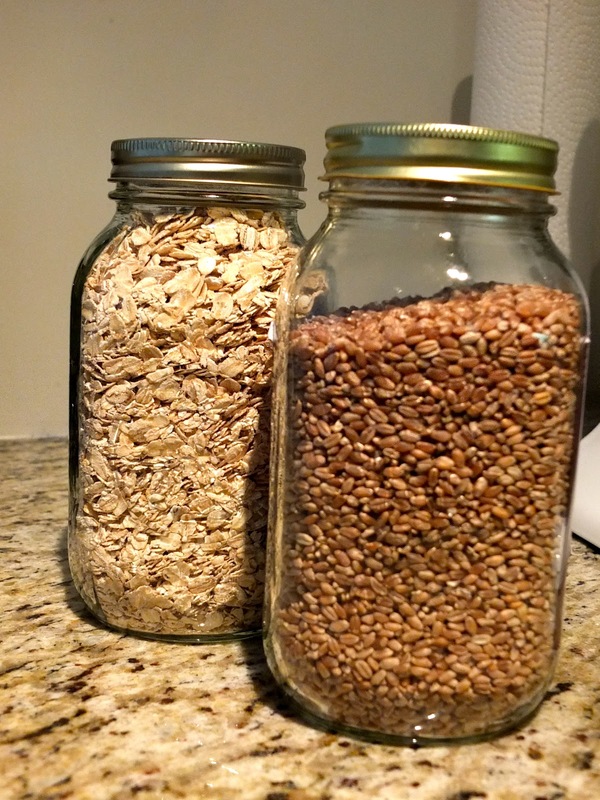 But, I did notice that they now carry wheatberries, so I made sure to grab some of them! The reason I did grab almonds though, was they were also on the 50% off grand opening sale. Are you getting the sense now that I love Bulk Barn?! Ok, one last thing - I promise! Another thing that gets me in the store each time, is they're always constantly offering $3 off coupons (when you spend $10) in the newspaper. My mom brought over one of the clippings today, so I figured I better go use it, just for good measure :) It's always nice when $14.46 turns into $11.46. The only thing I had left to do once I got these baggies home (and you don't even wanna know how bad my Bulk Barn baggie collection is getting!) was to transfer them to some lovely jars. If I can at least take 2 things out of baggies, it means I'll take less time finding the 30 other things still existing in the bags! Plus, how could you not get those wheatberries straight to a jar?! I have another $3 off coupon I have to use by Thursday, so I'm taking food suggestions starting...NOW! QUESTION: What's your favourite item to purchase in bulk? !